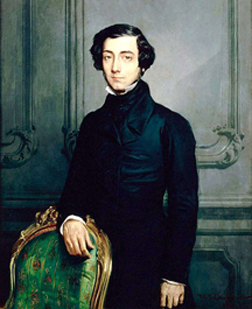 In 1831 Alexis de Tocqueville, a young French aristocrat, came to the United States with his partner Gustave de Beaumont to study the American penal system. Tocqueville’s fascination with the American form of democracy inspired him to write his two part book Democracy in America, which is a political and philosophical masterpiece. It is an essential work that is as relevant today as it was when first published. I encourage everyone to explore the America Tocqueville described so eloquently – especially young people who will require a strong historical foundation in order to keep the American dream alive. If you want to know why America was a great, thriving nation in Tocqueville’s day and how we became envy of the world, you must read this book. If succeeding generations of Americans continue to remain ignorant of the circumstances that led to American greatness, then America will continue its economic and moral decline. We can’t let that happen.